Want to see a bullet hit a target in ultra-ultra-slow motion? Watch this video to witness some amazing things — such as a bullet jacket peeling back like a banana-skin (at time-mark 7:30). A while back, Werner Mehl of Kurzzeit.com produced a 10-minute video for the SHOT Show. This video has has been watched over 10.6 million times, making it one of the most popular shooting-related videos in history. Employing cameras recording at up to 1,000,000 (one million) frames per second, Mehl’s bullet flight video has been called “astounding” and “mesmerizing”. If you haven’t seen it yet, sit back and enjoy! 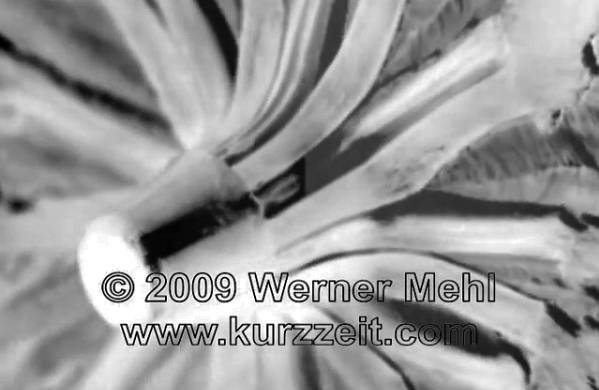 Click the link above to learn more about Werner Mehl and his super-sophisticated camera systems that can record at 1,000,000 frames per second. On the same linked page you can learn about the advanced PVM-21 chronograph (now sold as the BMC-19) designed by Werner. Operating “all-infrared, all the time”, the PVM-21/BMC-19 is the best optical chronograph we have tested for very low light conditions, or very tricky light conditions. Share the post "Amazing Slow-Motion Video Shows Bullet Impacts"
Here’s a very pricey, exotic Air Rifle for Field Target Competition. Notice the complex adjustments. We like air rifles both for fun shooting and for competition. However, so many options are now available that is easy to get overwhelmed with the choices. Thankfully, there is a good book that helps air rifle shooters make informed decisions about air guns and accessories. Steve Markwith’s comprehensive resource, Air Rifles: A Buyer’s and Shooter’s Guide offers a wealth of useful information. This 154-page book is now available for $12.95 (paperback) or $9.95 (Kindle). The book is also offered as a FREE Kindle download for Kindle Unlimited members. Check it out — you may be able to get the book for free. Here’s a more conventional air rifle with a nice wood stock. This can work for a variety of disciplines. Share the post "Air Apparent — Air Rifles Book Lists Myriad Options"